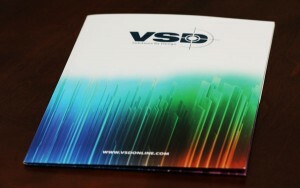 For first-time buyers, the process of ordering custom presentation folders can be a bit confusing. Choosing the wrong option or neglecting a crucial design element can increase production time and cost for your folders and leave you with an inferior product. Your folder printer should be able to walk you through any aspect you’re unfamiliar with, but your best bet for the perfect product is to know how to best work with your printer beforehand. 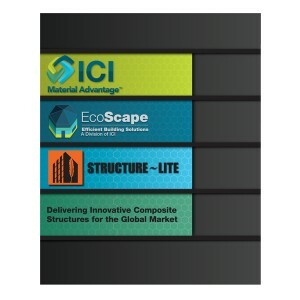 Make sure you understand the basic conventions of your folder template. Notice that it’s designed flat so that all sides are showing. In our template, the blue lines indicate the folds and die-cuts that create the shape of the folder, as well as slits for business cards or digital media. Locate folded design elements including the inside pockets, info flaps and reinforced edges. These may be in different locations depending on the template. Note that for any folded elements, the design will have to be flipped so that it looks right side up when you open the folder. 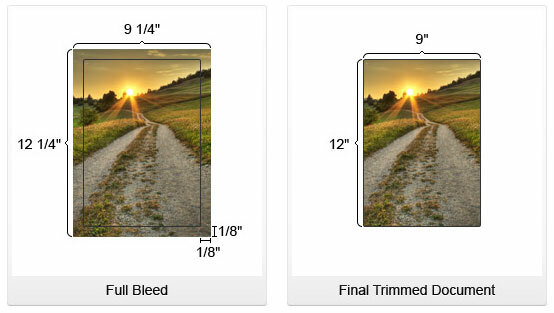 Include a bleed area of at least 1/8″ overlapping the edge of your template. This bleed area ensures that the ink will print all the way to the edge of your folder without leaving a gap. Add special effects like embossing and foil stamping on a separate layer. Properly label any special layers and use contrasting colors to indicate to your printer that it’s a special element. If your concept goes beyond the available folder templates, be sure to discuss custom die-cut design ideas with your printer. 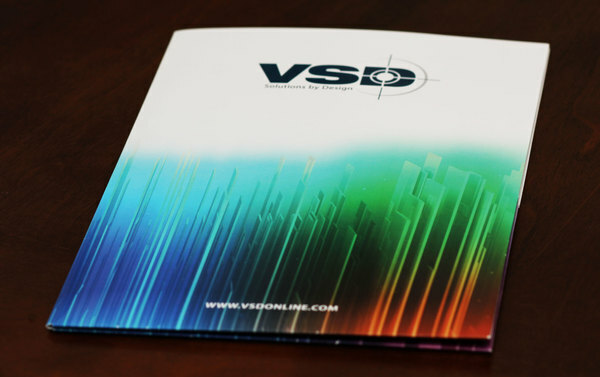 Find out if your printer has their own design team, as they may be able to help you create a design for your folder. You can give the designers your ideas, ask them to design based around a preexisting logo or have them build a design from scratch based on your brand identity. If you choose to design yourself, go over the design with your printer so that they can point out any areas which might be problematic and offer design expertise when necessary. If you want to have the best of both worlds, you can create a mock-up design for your printer’s design team to work from. This is a good option for those with an eye for design but without the necessary skill level to create a polished final design. Artwork must be in a compatible file format. 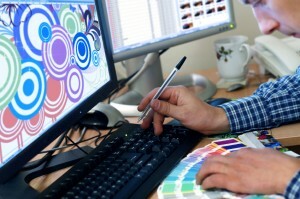 Common formats include Quark Xpress, Illustrator, Photoshop, InDesign, and CorelDraw. MS Word, Publisher and Powerpoint files are usually not compatible for a final design. 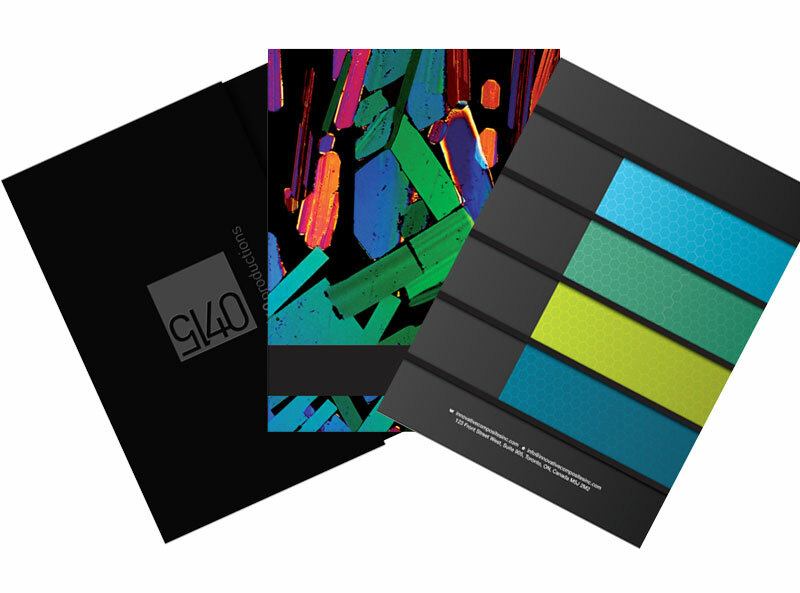 Convert your design to CMYK mode for any print job that will be utilizing 4-color process. Not every color will print correctly in 4-color, so using CMYK mode allows you to spot trouble areas and deal with them before printing occurs (instead of leaving your printer to make those decisions on your behalf). Find out how to send your artwork. Check with your printer to see what method they prefer you to use when sending your final design files. If the file is under 10MB, e-mail is typically satisfactory. However, some printers may prefer FTP or have their own on-site uploader. Check for any errors. When your folder is ready to begin printing, your printer will send you a proof copy for final approval. It’s your responsibility to carefully check the proof to ensure everything is how you’d like it. When reviewing proofs, you should make sure the content is correct, that there are no spelling or grammatical errors, and that all of your pictures and visual elements are crisp, clean and clearly defined. Make sure that any special imprint areas are properly marked as such. Review your marketing plan. This is your last opportunity to make sure the design is right for your brand’s marketing needs. Take the time to consider your marketing strategy and be sure that your design fits your brand image before finalizing your order. Don’t worry about printing errors. Some (but not all) printers will check for printing inconsistencies and errors during the printing process, so you shouldn’t worry too much about checking for these things in your proof. If you do find a major error in your proof, however, you may want to consider using a different printer altogether. Use a higher quantity when possible. 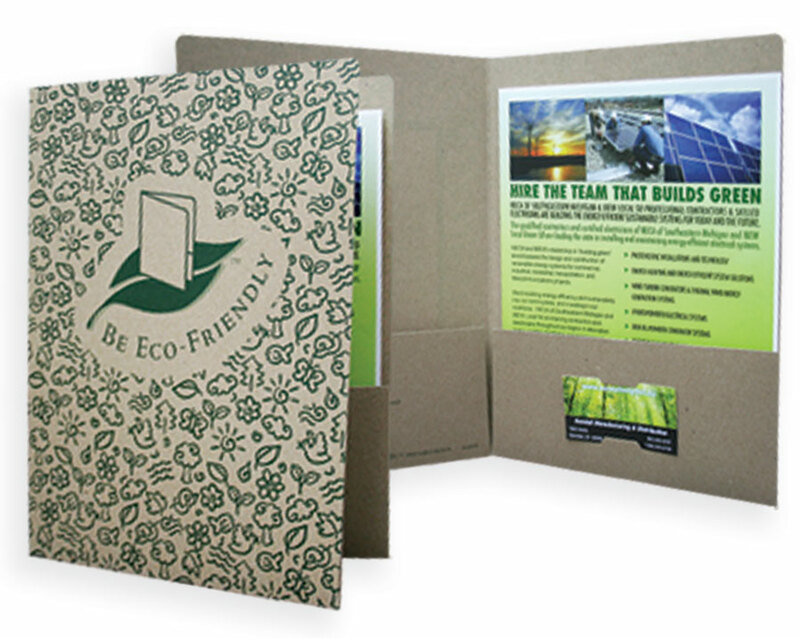 Folders are printed in batches and most printers offer price breaks on the per-folder cost when you place larger orders. Select an option that works for your budget and fits your marketing strategy. Consider printing multiple designs. Some printers may allow you to print multiple designs as one large batch. However, you must use the same folder template for each folder and there may be an extra charge for printing costs, such as additional PMS inks. 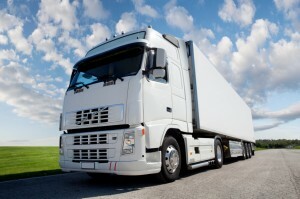 Select a shipping option that works with your budget and timeframe. If you’re in a hurry, most printers will have rush shipping and printing options available. However, keep in mind that paper is heavy, which makes it expensive to ship. If you’re using a local printer, you may find it cheaper to forgo shipping options completely and simply pick up your completed order directly. If your printer is close enough, this option will save you time and money. Check your printer’s policies relating to changes or cancellations before you place your order. These policies can change from printer to printer. Cancellation may come with caveats. Depending on how far into the printing process your order is, you may be able to make alterations or even cancel your order if need be. However, you may be charged a fee for a cancelled order or an order that was changed late in the printing process. The best printers provide a quality guarantee and will rerun your order at no charge to you if there was a problem during production. However, a reputable printer will do spot-checking at every printing stage to ensure great folder quality and prevent future reruns, so you should rarely have an issue. Working with your folder printer is easiest when they’re professional and reputable. The best printers will guarantee a quality product and will take care of you if things don’t go as planned. However, like any relationship, it’s a two-way street and you must be willing to keep in touch with your printer to make sure your desires are being heard. If you don’t think they are, it’s best to walk away and find a printer who will treat your brand seriously. Do you have any questions about the ordering process? Any tips for first-time buyers? Share them in the comments! While these hints will be helpful to many to be sure, the mere mention of Corel Draw sends shivers up my spine. If you truely want to ensure a quality product stick to Adobe products. They are designed to be driven to plate. Corel has a host of issues that are magnified by someone not familiar with the process.